Less than 10 days until Curse of Magic launches, and it’s available for pre-order right now! It’s actually been available on pre-order for a while–something I don’t normally do. And I don’t like to do it because I’m having to use a place holder file right now (since the book is in the final beta read stage right now) and I’ve heard too many horror stories of Amazon delivering the place holder file by accident instead of the final version. I’m crossing my fingers that won’t happen, but just in case it happens to you my place holder file has instructions on how you can request an updated version of the file from Amazon support. Curse of Magic will feature lots of new scenes from Angelique’s point of view but it will also have spoilers for Beauty and the Beast, Puss in Boots, Wild Swans, and a few more. 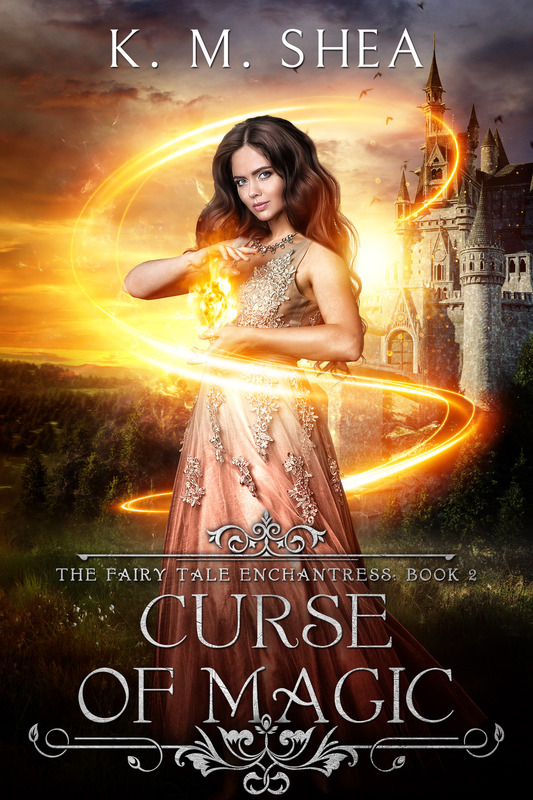 If you don’t mind spoiling yourself a bit you can probably figure out which additional books overlap by reviewing my Timeless Fairy Tales timeline (click here for the series page). You might also find the series page helpful since it has a map of the continent, and Angelique travels around a LOT. So excited to get this book! Will there be any extras with this book like there was with Apprentice of Magic? I loved the extra chapter as it did a lot to fill out Angelique’s sense of justice and humour. I think there will be extras. It has kinda become a tradition now. I was super confused about the short read label on the book and the fact that it was already put up as a bestseller. That was funny and also the fact that there are already 2 reviews (5 star ones) on goodreads for com. I am dying to read the new book.